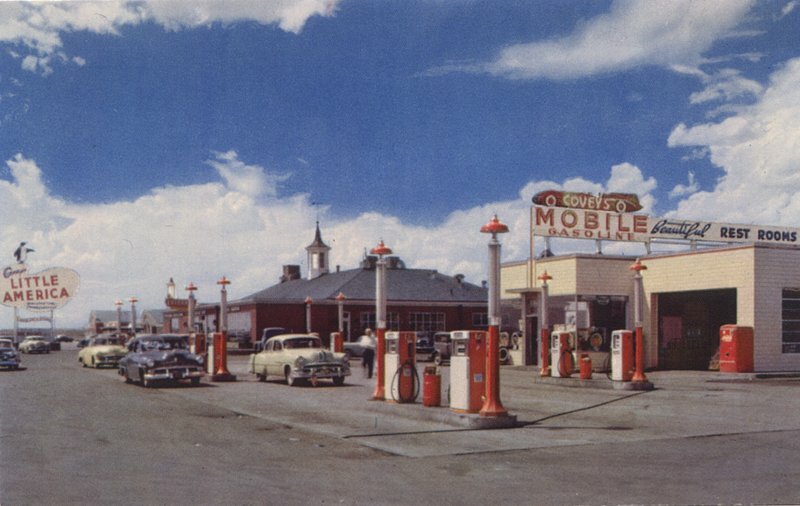 Covey's Little America, Highway 30, Granger, Wyoming. Looks like mid-1950s judging from the cars. Photographer: Arnol Reid. Published by Eric J Seaich Co., Salt Lake City, Utah.